CEOs and senior leaders from top UK engineering companies joined the Institute of Engineering and Technology (IET) in calling for urgent action to address the shortage of women in UK engineering at a recent event in Birmingham. 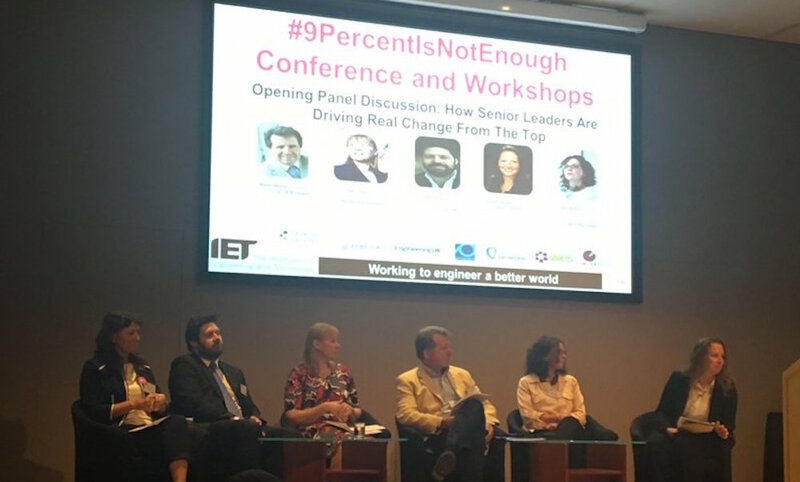 The #9percentisnotenough conference which took place on International Women in Engineering Day (INWED) focused on increasing gender diversity in the engineering industry in light of the current UK workforce being made up of only 9 per cent women. Peter Flint, CEO Building+ Places EMIA, AECOM was one of the industry leaders speaking at the event, alongside senior HR professionals and representatives from industry, academia and other professional engineering institutions. The INWED theme of #MenAsAllies encouraged a drive for shared responsibility in driving gender equality in the industry. The opening discussion panel posed the question, ‘How can senior leaders drive real change from the top?’. Being the largest global engineering design firm, AECOM has a significant platform to lead the way in terms of engineering and diversity. Discover more about AECOM’s diversity and inclusion strategy. Or why not take a look at the current vacancies with this forward thinking employer.